Today’s chapter late again, still sick . If it gets worse I may not manage post a chapter so if that happens please presume that I’m sick. If possible please add this to your Novel Updates Reading List do leave a review as well. After Zou Liang returned to the room where Ou Nisi Te was just preparing his things, he saw a few enormous packages on the ground. Ou Nisi Te pointed to a wallet on the table. Zou Liang jangled the purse, and the hualala sound that rang out in response showed that that cheap master of his still cared a lot for his disciple. How could a hero or knight that had to cross the whole country lack money? …… It was just that he was a bit miserly. Ten gold coins to a normal person would be a huge sum of money, yet for a Head Priest just this much was rather stingy. During these few days that he was in the temple, he had asked about the temple’s financial status and although Ye Lu Samo Temple’s priests did not lack for basic living qualities, they were not even close to living in luxury. Every year, the amount of money given to the authorities was a huge sum, and Tuo Ma Si was not a wasteful person. To his Master, thus, this was counted as a large sum. “Yes, Big Brother. Old Man used to often say that the things outside are expensive and so you should carry as much as you can. It doesn’t matter anyway since I am strong,” Ou Nisi Te honestly replied. Zou Liang had just realised that this blasted world did not have any kind of interspatial ring or pocket or such similar devices. Damn, this was just too backwards; since Zou Liang had read some Xuanhuan novels and watched science fiction films, he really couldn’t stand this. Ou Nisi Te found it very strange that his brother would often forget such general knowledge. The old man used to say that intelligent people would not remember the small things; perhaps it was because of this1. Zou Liang immediately gave Ou Nisi Te a more dignified reason and Ou Nisi Te returned to packing his bags in high spirits. Zou Liang nodded. The current Ou Nisi Te did indeed need to be realistic; the Beast Spirit World fights involved Beast Spirit and did not rely only on battle strength to survive. Once four bags were packed up on the ground, a pleased Ou Nisi Te went immediately into a deep sleep, snoring with his head tilted to the side. Zou Liang silently gave a glance towards the drizzling white light emitted by the ‘desk lamp’. Should he go in for a ticket 3? In the Beast Spirit World, those influential people who had created legends were usually gold grade or even dark gold grade. Normally, when one achieved gold grade their battles would become very intense, but each one would be admired by countless warriors. Sometimes these strong warriors would even be willing to come out and give pointers to the next generation. But the most lively and intense moments belonged to the ups and downs of the silver grade; these would often produce classic fight after classic fight. To warriors, the growth of Beast Spirit required one to be diligent. While the quality of an armour set was based on the Spirit Engraving Master, the techniques were based on the warriors themselves. They could not choose their tribe, their body’s stature, nor their talent, but they could use their techniques to make up for their disadvantages and even exceed their limitations. That was for another day. Since techniques were more or less matured at the silver grade, it was often a silver grade battle that would become a classic and spread throughout the world along with their names. However, all of these warriors were at the mature age of thirty; they would be at the prime of their strength. When it came to the low grade battles—especially among the plain and bronze 4—the ages of the strong newcomers were around twenty years of age; they would be full of vitality and eagerness to achieve their dreams, but their battle techniques would be very immature. Occasionally there would be a few geniuses, yet compared to a mature warriors’ battle they would not be too outstanding. 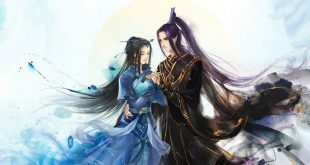 For the average warrior, Andongni-Lika and Suo Luo Si would be counted as pretty good, yet for them to improve anymore with just that would be pretty close to impossible. If someone became widely recognised in the Beast Spirit World before the age of twenty, then either they would be plotted against and disappear from history or they would become a person at the peak of the world 5. The magistrate of the Meng Jia Empire, the Spirit Engraving Masters Guild that suppressed all other guilds, the Lai Yin tribe male who had diminished the temple’s influence: they were all examples of unfathomable strength. When the monarchy and the Spirit Engraving Masters Guild joined together into an alliance, the theocracy without a doubt faced a very strong challenge; this male was definitely a legend. Such a lofty existence often captured many people’s attentions. The magistrate Ouga Ang (Ōugā’áng)—for example—had always aimed for a higher position in the magistrate and his family was the largest of the three in the capital. He had a natural halo of light about him, and in truth he had also allowed his family to rise to the pinnacle of honor along with him. But this person was different. No one knew where he came from, no one knew his goal, but his existence had still grabbed the attention of the beast tribes and his mysteriousness had enticed the curiosity of yet others. Beast God Martial Artist. The Asura. Had the legend really come into being, or could it just be a joke? In reality, people did not mind this too much and instead enjoyed the process. People did not actually care what the person was; their level was only so high. For Zou Liang this mattered even less. He was very realistic, and he only came to this place to join in on the fun and earn himself some Beast Spirit. The night before, Zou Liang had decided to obtain a victory to put himself in shape. If he could earn himself a point or two of Beast Spirit, it would be the ideal method to keep up with his battle criteria. After passing through the white light, he arrived again in the familiar Beast Spirit World. Since Zou Liang wasn’t a person who would try to show off his cleverness after taking advantage of the circumstances, this place where he had initially gained his enlightenment still had a favourable impression towards him. From another perspective, he had exquisite combat techniques that could be given to the community, but how much a beastman could comprehend would be up to their own abilities. Zou Liang did not immediately step into the battle arena, but proceeded with his habit of observing first; he was carefully sailing his ten-thousand-year ship. The duration of the Spring Festival was never definite, however this time it was said to be two or three months; the specific dates were still hard to confirm since it depended on the circumstances of the capital. This period of time was always the best one for a beast tribe member to undergo their Beast Transformation, and if they were missing a single point they would go to the Beast Spirit World to try their luck running into some newbie. It seemed Zou Liang was not the only person that wanted to obtain some resources6. The number of people was around three times the standard amount. Zou Liang also loved this liveliness; the more people there were, the more opportunities there were to be had. However… a beast tribe member looked at Zou Liang suspiciously, and soon after the surroundings all turned to look at him as well.